The first 2 years of Dragibus are available in digital (pdf) format. Purchase a digital copy today for $2.50, or get the whole first two years for just $8 each ($15 for both volumes)! Or purchase print editions of the first year for $30 ($40 international). Click here for more information. The first issue of Dragibus is available for FREE in digital formats! It is available as a downloadable pdf and as a flipbook on Issuu. 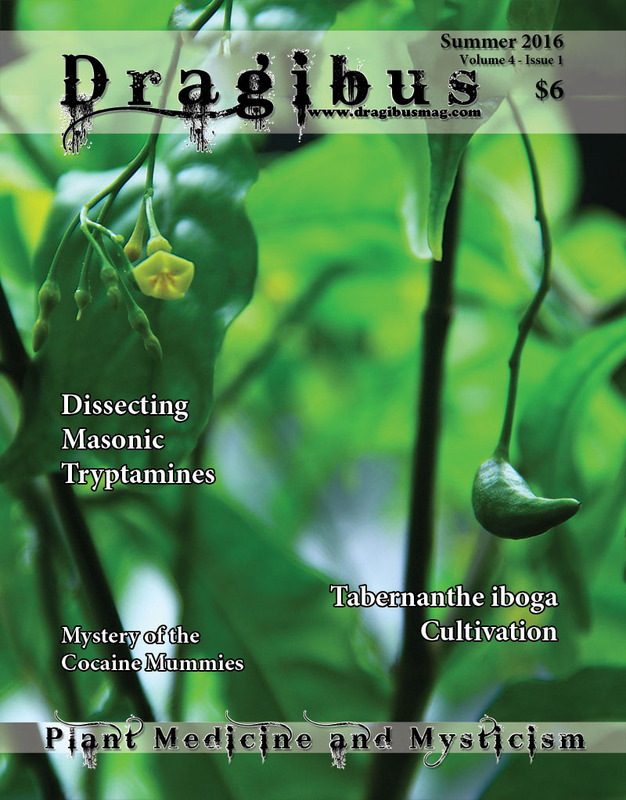 Dragibus Magazine is a full color print quarterly on the botany, cultivation, history, and usage of medicinal and entheogenic plants. We welcome submissions that relate to medicinal and entheogenic plants; their cultivation, identification, historical and cultural usage, art, folklore, and their related compounds.